All up we stayed three nights in Agonda, an isolated beach in Southern Goa. It was amazing. I'm told it is what all of Goa was like 15 years ago. The beach is quiet and has beautiful white, soft sand. The water is beautifully clear and warm. The waves are nice, just enough to body surf, but not enough to attract surfers. It's the nicest ocean I have been in, so nice that we routinely stayed in there for hours on end. We stayed at a nice German lady's "resort" on the beach front. We had paradise on our doorstep! The room we stayed in was modest but sufficient as we didn't spend much time in the room. The food at the resort was nice, however we still made sure we explored the beach front, which is populated with similar resorts and restaurants. It's amazing how far your money can go here. A plate of beautiful prawns with salad only costs $7, a g&t only $1. Safe to say we treated ourselves to some amazing food! One of the days we hired scooters and took a day trip to Cola, another secluded beach. Cola was a small cove, with two restaurants overlooking the bay. The water was a little rough, so we decided to swim in the fresh water lake that was chilly but so refreshing! 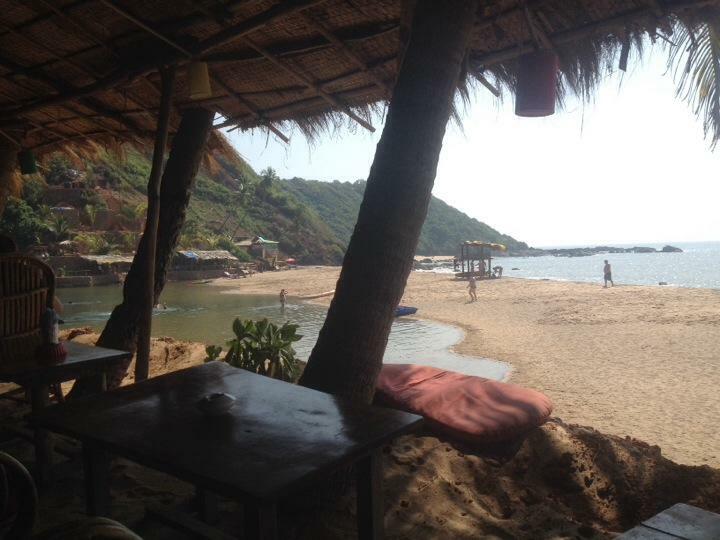 Goa is frequented by Russian and Israeli travellers, most of whom are extremely wealthy and rather round. Perhaps the funniest moment thus far was my scooters confrontation with a wall. I swear the wall moved in front of me, however when I now think on it, perhaps I should have reversed from 1m away rather than picking a fight with the wall. Neither scooter nor driver was injured! As further posts will suggest, this was not the biggest scooter-related mare, by far!